Today saw the planting of two more fruit trees in DKH Open Space to replace two trees that had been vandalised. 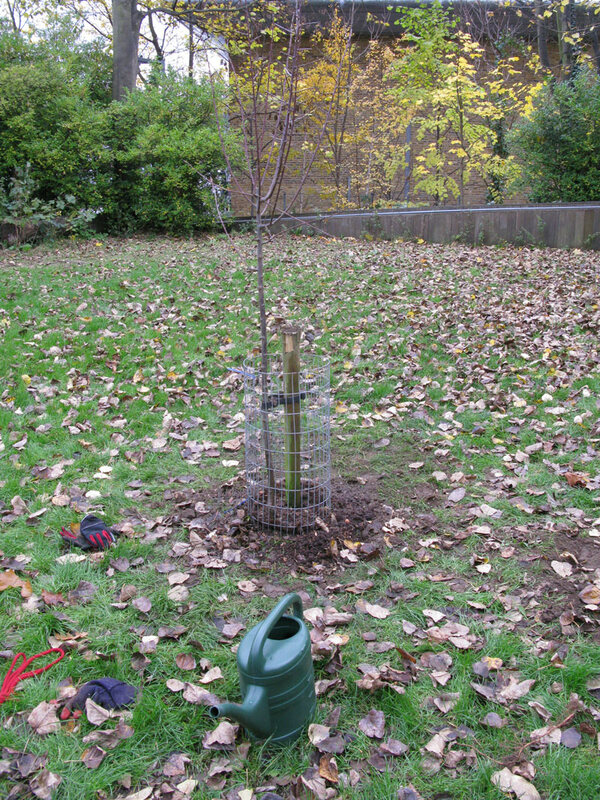 The replacement trees are: a Vranja Quince (half standard) and a King Damson (half standard). The damson can grow fine in a bit of shade so it’s nearest to the mature trees. The quince is on the opposite side, near the oak trees. Both of these have been planted further away from the path than before to deter passersby from snapping the branches. Fans of Sloe Gin will know Damson gin is made in a similar manner, although less sugar is necessary as damsons are sweeter than sloes. Damson wine was once very common in England: a 19th-century reference said that “good damson wine is, perhaps, the nearest approach to good port that we have in England. No currant wine can equal it. [ “Damson Wine”, in Hogg and Johnson (eds) The Journal of Horticulture, Cottage Gardener, and Country Gentleman, v.III NS (1862), 264]. 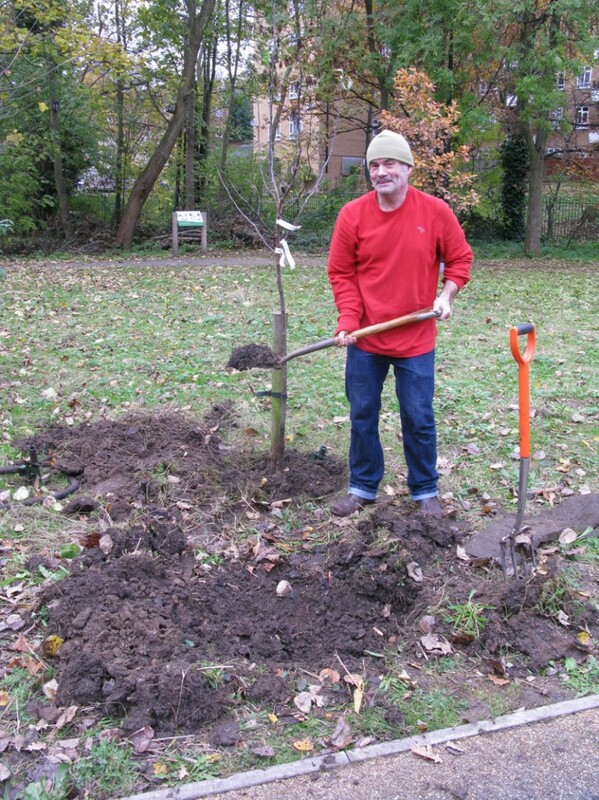 Both trees were kindly donated by Cllr Stephen Govier and have been dedicated to well-loved pets and friends.